I decided to make in gray and red. I had doubt about the size of squares. Finally made a pattern and began sewing. Look what happened when ordered the pieces on a table. Do you remember the billboard mug rugs from yesterday? Where are they standing? 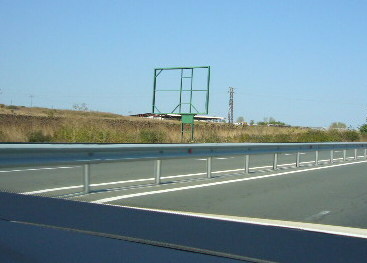 Along the highways and roads. Correct! The second part of my project is to sew a table runner matching highway. grey fabric - 26" x 15"
white fabric - 10"x 5"
green printed fabric - 26" x 2"
for binding - 26"x 6"
back fabric - 26"x 15"
First we have to sew the broken line between roadways. Cut stripes 1,5" wide and 10" long from white and grey fabric (3 stripes from each). Sew them along this way. Cut 1,5" stripes and sew together to make two long stripes (around 25") with grey pieces at the beginning and at the end..
From grey fabric cut 4 stripes 3" wide 26" long. Sew two of them to each side of the broken line. Repeat once more with the other broken line. From green printed fabric cut a stripe 2" wide 26" long. This would be the grass between roads. Stitch together add batting. Quilt and binding. For quilting I have chosen straight stitching like a tyre's trail. I recommend using the walking foot. I have stitched first lines with ordinary foot, but the top fabric became a little wavy - look at the upper seam. The fabric for the binding is so interesting. It makes the hard shoulders. It looks as it is bias, but this is only a bias print. I have cut t selvage to selvage. The whole project with the runner and coasters. 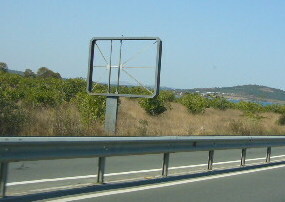 Bored with road and billboards? Simply turn them back. There was a funny situation when choosing the winner. I didn't consider the fact I live in different time zone and started the random generator a little bit earlier when I have 30 comments. The result was number 3 - Amys Crafty Shenanigans . So dear Amy you will receive this baloon, too. Merry Christmas to all! Let New Year will be more happy! I have started a shop for mug rug patterns. Check for new patterns in my old shop here . There are many interesting designs. The billboard block I have created yesterday is a mug rug now. To be precise it is bigger than a coaster, bur smaller than a mug rug. Exactly say - it is 7 inches square. I have made 4 of them - each one different shape and color. Looking at my billboards' pictures I have chosen 4 and create 4 coasters. They are part of a project, which continuation I have made as a tutorial and will publish tomorrow. It was fun to think out such idea and sewing a project made me very happy. The whole project would be a Christmas gift for a freind of mine with nickname "the driver"
And what is more appropriate thing for a young man? When you see the last piece of the project you will be totally agree with me. I am sure! 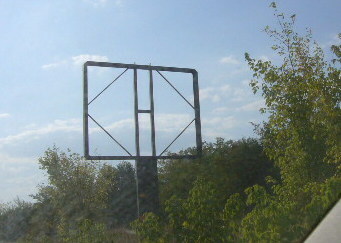 I have a new passion - collecting pictures with empty billboards. I haven't noticed how many are they along the way. They have so different shapes. I wander what size to sew them. Small and neat or big enough to make a whole quilt. For my first project I have to sew them small. Come here tomorrow to see what I will use it for. 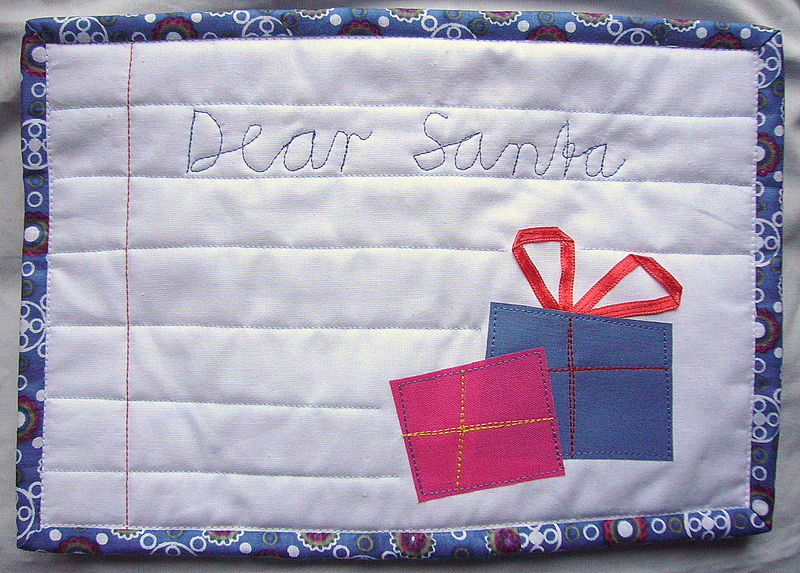 Do you still writing letters to Santa? 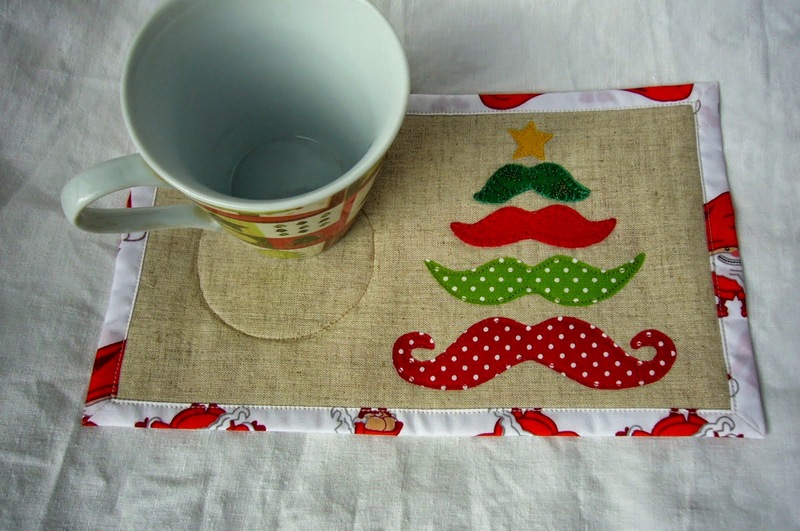 Make a mug rug and drink your morning coffee on it waiting for the gifts. The pattern is here. Do you wondering what is the back? Envelope, of course. Michelle from Quilting Gallery is having a birthday party blog hop and I am hosting a give away to celebrate, yay! And what is a birthday without baloons. I am offering a paper pieced pattern - BALOON. To enter the giveaway, leave a comment telling me what is the most important thing for a birthday party - decoration, cake, company, music etc. Bonus entry: followers, new and old, please leave a second comment. I'll close Give away on December 15 and will announce the winner (chosen by Random generator) here on my blog and by email no later than December 17. Please leave one comment on this post by December 15. If you like my blog you can follow me for more interesting ideas, tutorial and patterns. Time for Christmas tea or coffee. Do you feel how it smells? Hearing Christmas songs I thought it would be funny to have such mug rug. With the shape of world globe with parallels and meridians and polar ice cap. 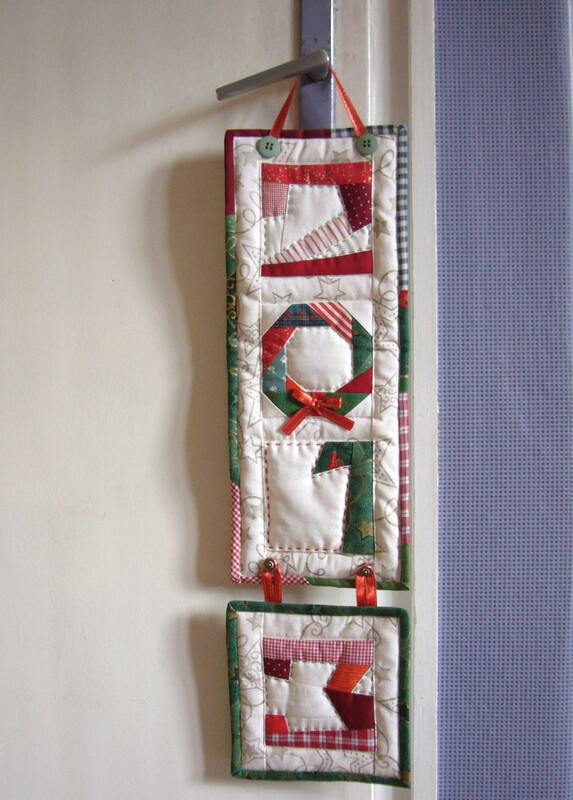 I have added funny letters in Christmas checked fabrics. It was easy to create and easy to sew. Wait for my next mug rugs. I will share all my projects here. I have an idea to sell them, too. The Sew, mama, sew Give away is finished. I have participated for the first time at Give away day. Thanks for possibility to be part of this event. 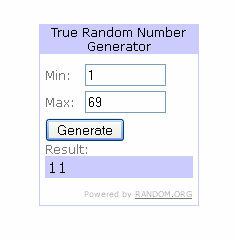 The random number generator helped me pick a number as usual. The lucky 11-th entry was Michelle. Congratulations, Michelle! I will contact you shortly! I hope you really like my works. Come here to see what I am creating. Right now I decided to choose one winner from new followers. This is Charise from Charise creates. I like her paper pieced pattern and will be happy to see how will looks this snowflake sewn by Charise. Check soon for next Give away. And don't forget that until Christmas for every 25-th sold pattern you could get free another pattern from my Shop. Read more. Do you remember I have started a Christmas give away. Read again carefully. It is great opportunity to have a pattern from my shop. But, please let me know what pattern do you want as a Give away in a Pay Pal message box. Otherwise I have to write back to you to ask what your decision is. This will take additional delay. The famous site Sew, mama, sew offered this Monday , 3 of December for a give away day. 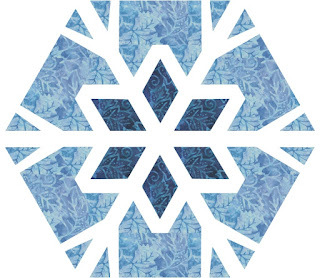 Lately I designed some snowflakes. 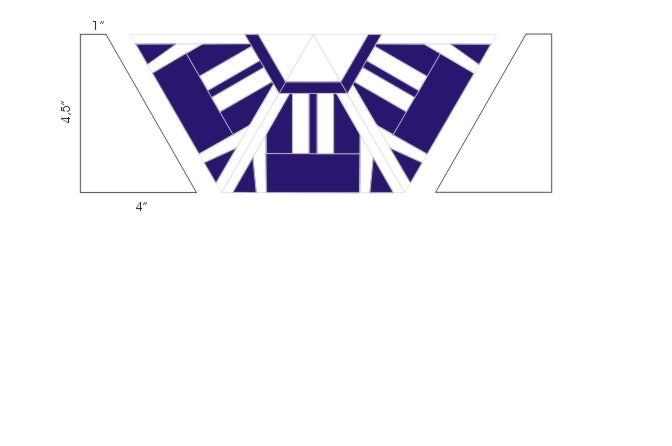 So My give away will be this pattern. It is very easy to sew an hope you enjoy the Christmas. 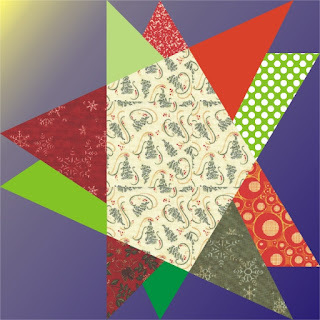 To enter the giveaway, leave a comment telling me what kind of fabric you would like to use to make a Perfect Snowflake. Solid, printed, mixed, etc. I'll close Give away on December 7 at 5 p.m. PST and will announce the winner (chosen by Random generator) here on my blog and by email no later than Sunday, December 9. Please leave one comment on this post by December 7. Enter to win a Free pattern by your choice. In the era of global networking and mobile phones we have many phones handsets and gadgets. But we need them at hand. Yesterday I spent one hour looking for my cell charger. When found I said I have to organize all these gadgets at one place. What is the most appropriate shape for a phone organizer? A phone box, of course. I made holes on the side parts as handles to catch it easy and carry with me.. It was easy to sew and great project to practice free motion quilting. Today is the start of the RightPatterns' Give-away to celebrate the Christmas . 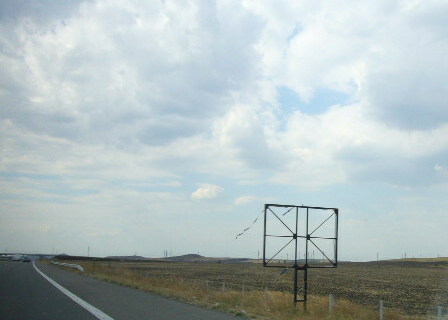 It is running from 24th November to 24th December 2012 . During this time the RightPatterns is giving away one pattern free to accompany every 25th pattern purchased from the RightPatterns' shop. I have over 70 patterns different prices, so you could receive an expensive pattern buying one at regular price of 2,50 USD for instance. The Giveaway will end on 24-th December at 24 .00 GMT. Let me know in the Paypal message box when paying for your purchase, which pattern you would like to receive free if you are one of the lucky ones. Winners will receive their free pattern within 24 hours of purchase. I will use the stats of your wishes to understand what do you prefer if the price is of no importance. I love their perfect shapes with ice crystals. Sometimes I can see the tiny ice balls they are consisting of. Sometimes they gather and falling as thick snow. Leave them to land on your hand and they immediately began melting. 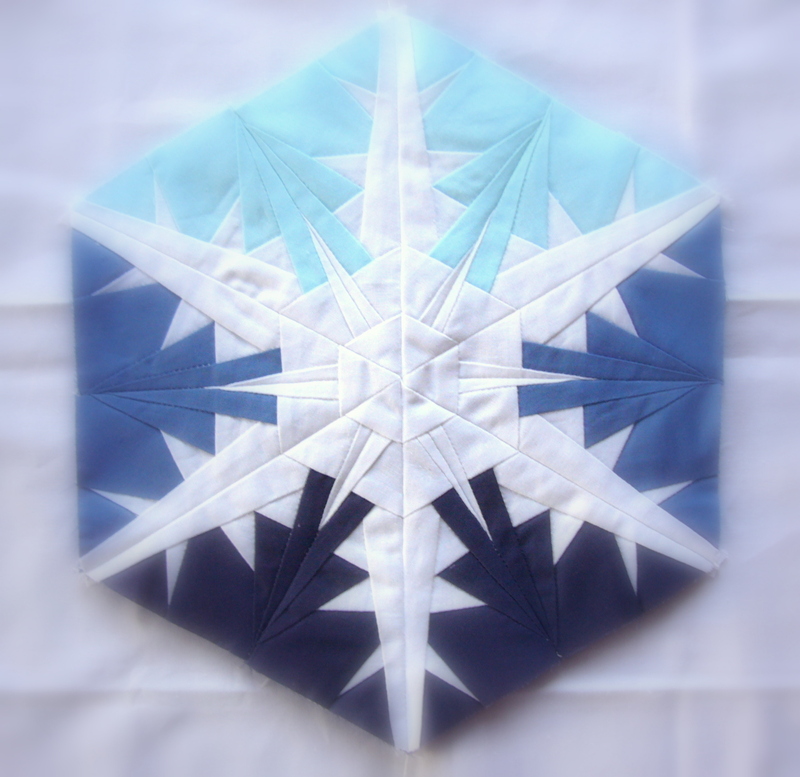 Sew this beautiful Snowflake and hang on the wall or make a cushion and it doesn't melt ever. I have made the picture a little bit blurry like a frosty window glass early in the morning. Do you want to sew one for yourself. Simply go here. I think this is the oldest illusion trick - hiding a rabbit in a cylinder and later showing it to the public. It is part of circus productions for kids. They always like it and every time wonder how it is possible to put rabbits inside. The pattern is available HERE and THERE. I am collecting different fabric patterns that will match my Circus theme quilt. And still thinking about best design of of the quilt. The winter will be here soon. It is going cold, the days are shorter. First snowflakes will be dancing in the air. Today this paper pieced snowflake has appeared in the fabric window. Go on with reading the post. 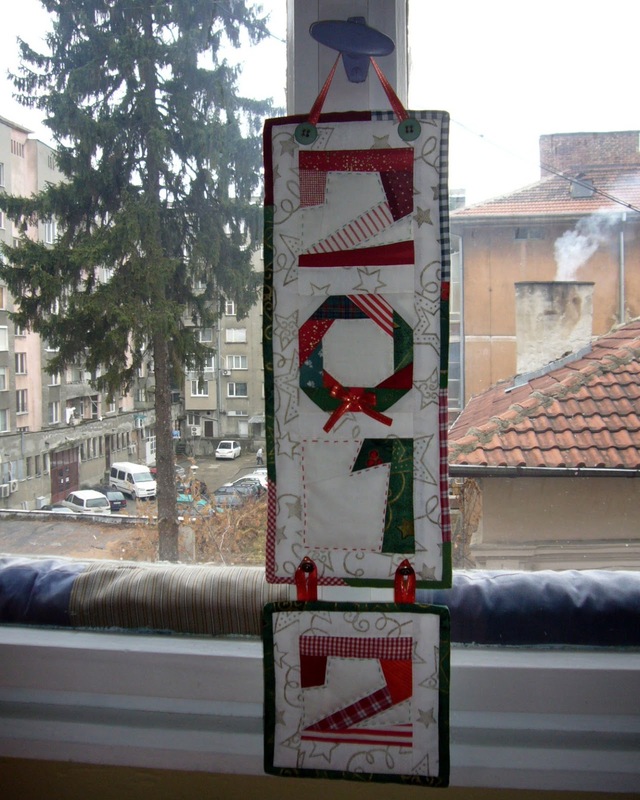 I will show step by step how to sew this hanging. Paperpiece half of the snowflake. You can find the pattern in my shops HERE or THERE. Note this is half of the pattern. The snowflake is still falling. And the project is easier and quick. Cut two pieces with given dimensions an add a piece to each side as shown. Cut a rectangle 7 x 11 inches and sew together. Cut stripes 2 inch width and attach round the square. Cut 14 inch square from back fabric and batting. Sew the top and back right side together as shown on the picture. Do not forget to leave 5" opening without seam for turning over. Turn over, sew the opening blind stitch and iron. Stitch a quarter inch from the edge and quilt as you desire. 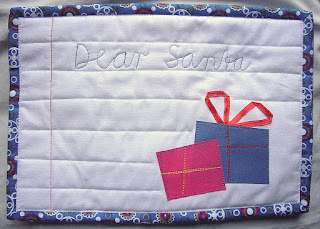 I have chosen free motion quilting with white thread remembering snow. Cut two rectangles 6 x 3,5 " , fold each or them and stitch this way. Turn over and iron. Make buttonholes and stitch to the back side of the quilt 1,5 " from the side edge. Sew the buttons and you are finished. You can use the same pattern for table runner or cushions. In time of crisis we should make adjustable works, so I designed this wall hanging such way. The last piece is joined by buttons, so next year you would sew only the number 4 and hang again! And then sew number 5 and so on. Last year it looks this way. Pattern available in my Craftsy. Today I was playing with balloons.They are a part of my circus theme. You could put on a potholder, table mat, baby quilt, bag, etc. The mirror version I made with four stripes which is the full pattern. 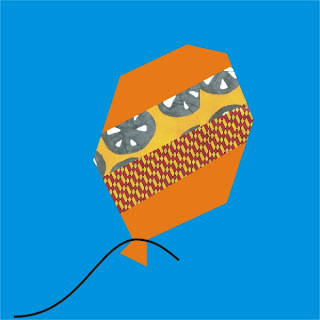 If the fabric you had chosen is very colorful you can use only one piece for the balloon. I can't believe that one pattern (designed by me) could change into another. With little help of me of course. But I like the transformation. Very much indeed. Do you like it? Might be in this orientation. It is easy to sew. Believe me - all the seams fit perfect. You can make in a Christmas version of course. Get the pattern from here.